NRDC-ITA NATO - 9th January 2017 - Tech innovations and future commitments on Everywhere Rapidly 2016 third issue. NEWS > ARCHIVE > Archive 2017 > Archive 2017 - 01 > 9th January 2017 - Tech innovations and future commitments on Everywhere Rapidly 2016 third issue. 9th January 2017 - Tech innovations and future commitments on Everywhere Rapidly 2016 third issue. NRDC-ITA staff is proud to present the third release of 2016 “Everywhere Rapidly”. 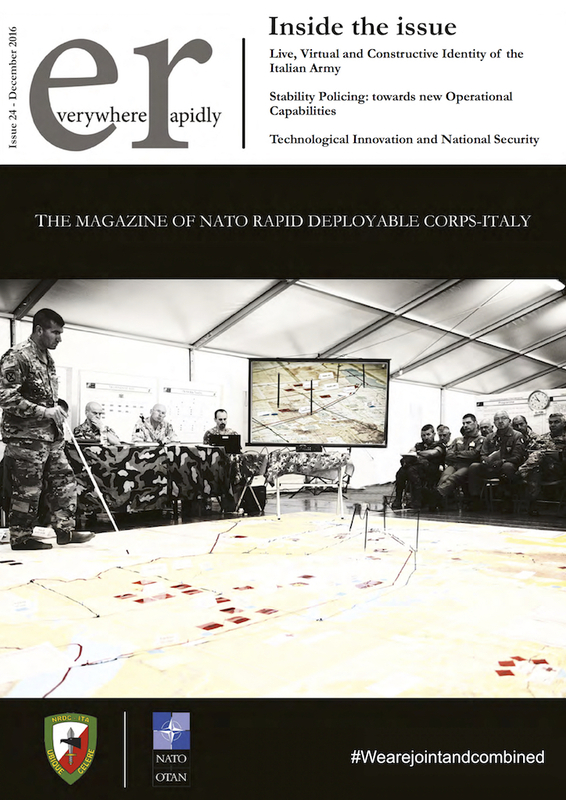 On this issue you can read about how NATO Rapid Deployable Corps Italy is facing training events on the path to validation as a Land Component Command (LCC), role to be covered in 2018, being in the very middle of its second year as a stand-by Joint Task Force (JTF). The capabilities of the HQ are the result of the daily work of a complex structure, which also involves national assets, such as the Italian Army Simulation and Validation Centre (Ce.Si.Va.). 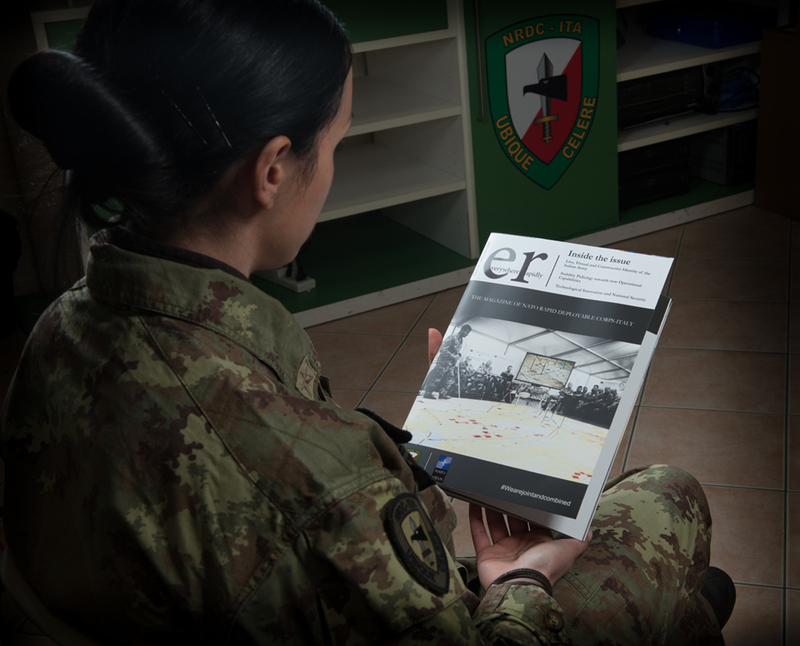 This “ER” issue, in fact, is honoured to host an article by Maj. Gen. Maurizio Boni, who as Ce.Si.Va. Commander explains the roles and tasks of the Centre in support of testing the capabilities of complex headquarters like NRDC-ITA. Thank you for your kind attention and enjoy your reading!